Sorry decide to change my mind about this in case any of you would like to do both. I missed a scene because I was looking at Softy's site. Show a scene of posters and people were looking at them. Hot headed guy from village ripped off posters. He saw Seowah coming and he called her name. Seowah's brother was talking to hot-headed guy. He had a long conversation here. Oh, so cute. I hope he can take care of her. Don't you guys think they're cute together? Hot headed guy and SW's brother were saying something together. It seems like hot-headed guy from village is taking her in or something. Awww....hehehe...cute. SW's brother and hot-headed guy took off together. DJ camp and MD was serving food to people. SW and bro came and met up with MD. They were hugging each other. Then YB and KT were seeing them behind and they were talking together about MD. YB was saying something to KT it made KT looks so emotional. And it showed him looking at MD crying. Maybe YB was giving him tips about how to deal with this kind of problem? MD was eatinga nd she seemed to be breaking down. MD left and sat and cried. KT followed her. He came and sat next to her. Maybe he's counseling her? Comfortingn her? He held her hand and hugged her in the scene. Oh my gosh, scene with Koiso taking in Abe and asking Abe about KT or something? Takeda came into report something to Koiso and Koiso immediately left. Abe --- poor thing. Now found out that BM is KT? Hot-headed village guy and Baek Gun were packing up to leave or something at KT's secret hide out. Oh no, they heard noise and left using the window instead. Sj and his gang came and they ran after the other two. SJ was behind and see the pictures. It showed some pictures of the people who got killed by BM. 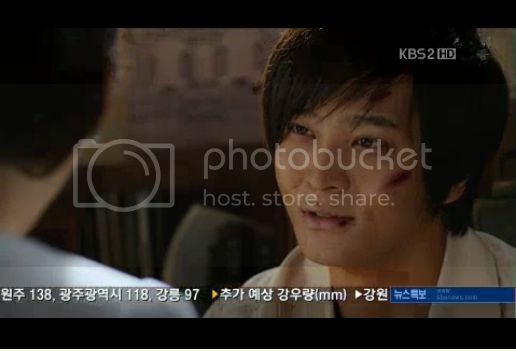 I think maybe SJ will get this that KT will eventually kill his dad because his dad's picture is in there? It showed a picture of the Count too? Not sure but he took pics to Taro. Taro and his dad had some talk. DJ station and people were talking together which included DJ, YB, KT, and Reporter Song and they were all smiling. Maybe something positive came up? YB looks like he's a daddy figure for KT here sitting next to him. Song reporter took KT into a room and they had some conversation. Maybe he mentioned about killing of Kumura Taro? Just then hot-headed village guy and Baek Gun came into the scene and KT talked to BG. BG probably told KT that SJ came into their location here. They had some long conversation which I have no idea what they were saying. Scene with Leader Jo and MD sitting together. Leader Jo was drinking some tea? MD looked happily and talked to Leader Jo about her dad. Leader Jo said something about MD & KT. MD talked for a while about her dad. Poor MD. MD seemed positive here and MD & Leader Jo smiled together. MD and SW were picking out vegetables at the camp and some lady came to talk to them. MD & KT talked to each other about something. And then he kissed her forehead. Gosh. censorship here? lol. Why are they so conservative? Scene with Taro, SJ, Mayrama guy sitting in uniform and talked. Kaka came into the room and said some stuffs to them looking very worried. Taro said some stuffs and left Kaka sitting by himself. Taro came back to his house and the nanny was saying hi to Taro. Scene with SJ driving in his black car. Taro wearing black kimono sitting with sword on his table. Nanny came in and gave him tea. He looked like he was thinking about something and poured out tea. BM coming into the house? He jumped over the wall and came in. 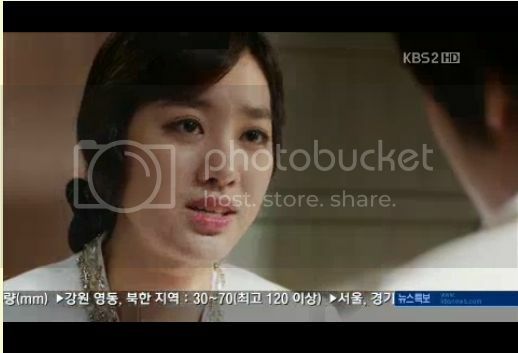 Oh no so I guess KT was telling MD he is going to go and kill SJ's dad? SJ's dad was sitting with sword waiting? OMG. Nanny was yelling. SJ's dad looked like he's ready. OMG. Bm opened the door and came in. SJ's dad was ready. Then some other people also came out along with KT which were all in Taro's side. KT used a knife to cut them all off. Oh no, this cannot be avoided. Poor Sunshine. Stop looking for salvation here. Oh, my gosh, please don't show me that SJ seeing his dad being killed? It ended with SJ's dad with sword ready, SJ coming towards dad, and KT about to kill SJ's dad. Now I understand why the Romance cannot hold a candle to the Bromance of this show. I am sooooo happy we got plenty MD x KT scenes this episode. But it got me worried. Well, I think they will see each other again cuz it didnt feel like a farewell at all . And I wished for a kiss we got only a peck on her temple but still, better than nothing. And it wasnt a good bye kiss. PHEW. MD CANT loose KT too, cuz she already lost her father, hence I dont believe the writer will be that cruel to take the love of her life away too. Oh no,i hope SJ arrives home after Gaskall kills kimura Taro!! !only 2 ep left!!! I can now feel that this show is about to end but then I can't seem to believe it. So I was reflecting through about holding hand scenes again that I posted before and how this drama is probably one of those few dramas who just kept showing holding hands instead of cuddling or using more romances like other dramas, but I realized that this is set in 1930's. Maybe during that time people were very conservative and they don't show love so obvious like we do now. All of those holding-hand moments add on into today's episode of K & D holding hands together added up to how much blessed they are to have each other to hold on to. At this time especially during war time, not so many people had that opportunity to hang on to each other the way K & D had despite that they were not always having time together. Just think about DSR & his wife and also Kangto's dad and his mom. It seems to me that all those holding-hands gave K & D courage to move forward to a new thing. Just holding hand with another person gives you strength and courage to face another day. Kangto and Mok Dan were so cute in today's episode and I'm so glad they had some what extended scenes here. So loving and caring to each other. They are so blessed to have each other. The scriptwriter is definitely a punishing goddess here. No one can escape their own karma so far for those who were wicked. I wonder if SJ's dad will be able to escape his. I feel, sense, and see K & D's great love for each other even though there is no such thing as cuddling and all those love-dovey scenes like other dramas. I think it goes on to tell you that love is way beyond those. @semi-fly, do you know if there is a WITH version for this episode? I downloaded WITH and I'm so blown away by its quality. Thanks so much for the link! I swear. 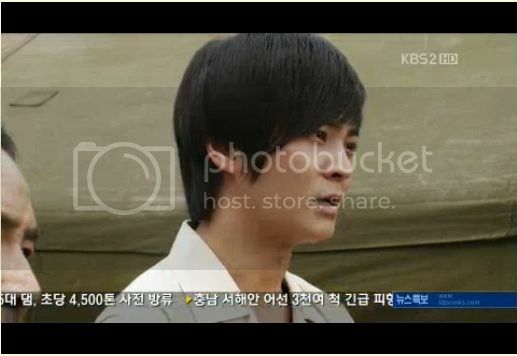 If Joo Won doesn't win an award this year, I'll fly to Korea and kick some asses :ar! 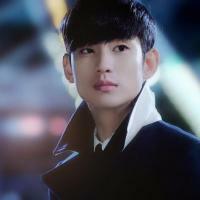 And also Park Ki Woong, he must win something! If Tsuruga Ren (from Skip Beat) really existed in this world, then Joowon would be him. Ren is the best actor because he acts so well that his co-stars think its real and response in a real way to him. Joowon is doing the same here, he gets the best out of his co-stars. This, I have to give him credits for. In Baker King, he had so much chemistry with Eugene that even her real husband didn't have this much chemistry with her (I saw their drama creating destiny), UEE wasn't that good in YAB, but she won me over in Ojakgyo Brothers. Jin Se Yun, never knew of her existence, but thanks to Joowon I am a diehard fan of hers. I hope he really gets that Baeksang awards (the best one) because lets face it, he is really better than Kim SooHyun or Hyun Bin. Sorry guys, I like both actors but I am stating facts here. tucci said: I swear. 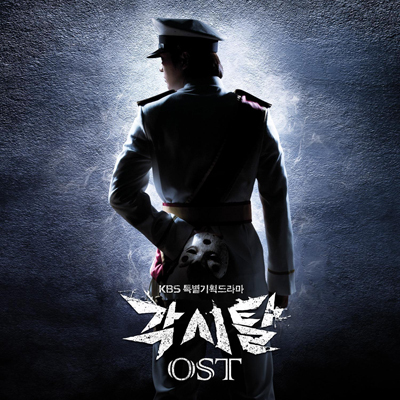 If Joo Won doesn't win an award this year, I'll fly to Korea and kick some asses :ar! sunshine4ever said: @semi-fly, do you know if there is a WITH version for this episode? I downloaded WITH and I'm so blown away by its quality. Thanks so much for the link! NAhhh dont say its as good that MD should die! The girl deserves some happiness and she can only get it if she and KT have the same fate be it alive or death.